You may have noticed that when the TransRockies Race Crew goes about piecing the puzzle together that becomes six days of singletrack, they like to provide variety. 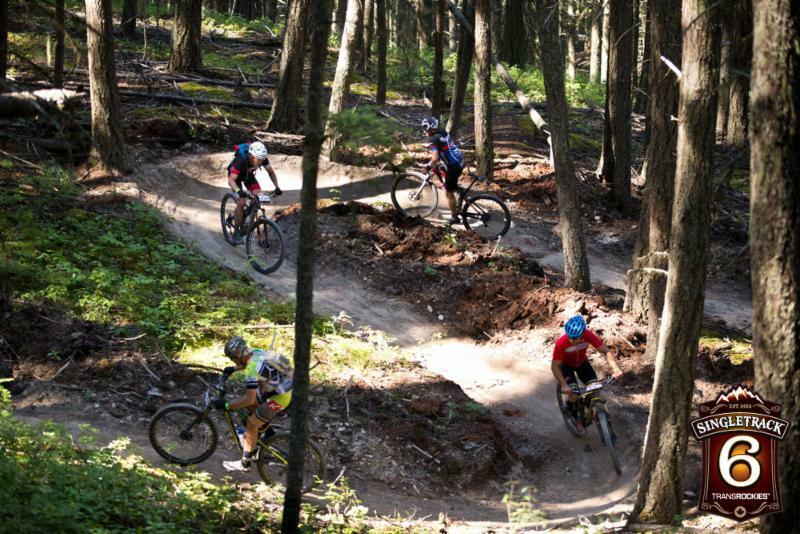 There are countless styles of mountain biking and just as many preferences. We want to give you a taste of it all – the best of the best. Golden, Stage 5 was hosted in the renowned Mountain Shadows! During this final third, we typically see people either maintaining their position, or changing gears from competition to baggy shorts fun mode. Thursday’s Smith Stage 5 saw Matheiu Belanger-Barrette and Sonya Looney maintain 1st in the General Classification and locals Julie Marshall and Shane Kroeger using their local advantage to win the Smith Stage 4 Timed Descent! With today, Tinhorn Creek’s Stage 6 – the longest and most grueling course, we’ll see what happens with the field! What we do know is that our wrap party, Stage 7, is tonight, is going to be great and entry is by donation in support of the Golden Cycling Club.